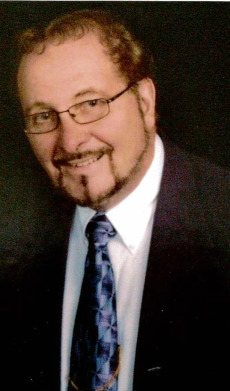 John D. Charles (Jack) has had a life long love of music for piano, organ and voice. In high school he was active in chorus and beginning in tenth grade participated in the in District, Regional, State and National Chorus Festivals of the Pennsylvania Music Educators Association. In his sophomore year he began to study organ, and in his Junior and Senior years he was assistant organist of his church. Early in his freshman year at West Chester University he was hired to be organist and choir director of the adult and children's choir at Malvern Presbyterian Church. He graduated and attained his Masters Degree in Music Education from West Chester University. Over the years he earned approximately ninety post graduate credits from Westminster Choir College in Princeton, New Jersey. Upon graduation from West Chester University he taught classroom music for two years at Audubon and Worcester Elementary schools in the Methacton School District. He then moved to Schwenksville School District where he taught elementary classroom music and also conducted the Elementary, Junior High and High School Choruses. Several years later, when the Schwenksville School District merged with the Collegeville Trappe District he was immediately made Music Department Chairman, taught High School Chorus and conducted the annual Broadway musical. Over the years after graduation from college, Jack has been Director of Music at several Lutheran churches. These include Augustus Trappe, Grace Royersford, St. John Phoenixville and St. Luke Devon. In 1983 he became an Associate In Ministry. When Larry Hand was Bishop of Southeastern Pennsylvania he served on the Synod Music Committee and was organist for several conferences..
Jack and his wife Andrea have a daughter Elizabeth, married to Matthew Francisco. They have two grandchildren, Sean who is ten and Heather who is seven.